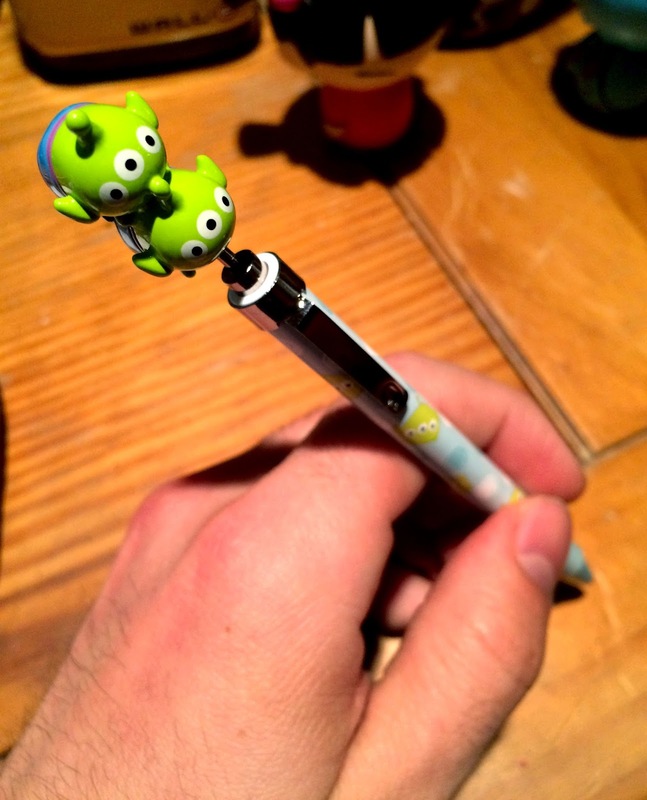 Here we have the newly released Disney Store Toy Story aliens "Tsum Tsum" click pen! This is a simple, yet cute item that my wife just surprised me with as a little "just because" treat. <3 We love us some "Tsums"! Unfamiliar with what a "Tsum Tsum" is? No worries...here's a little info! "Tsum Tsums" (meaning "stack stack" in Japanese) are cute, stylized Disney plush that come in a variety of different sizes. Their elongated shapes make them stackable for display (hence the "stack stack"). They originated in Japan (along with a phone app game of the same name) and have since made their way to the US. 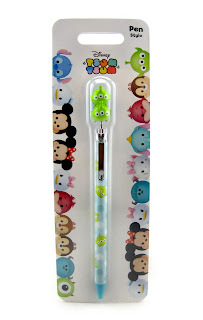 Now, other Tsum Tsum style merch, such as pin sets, mugs, dishes, shirts, socks, pencils, pens, etc. are also starting to be released! 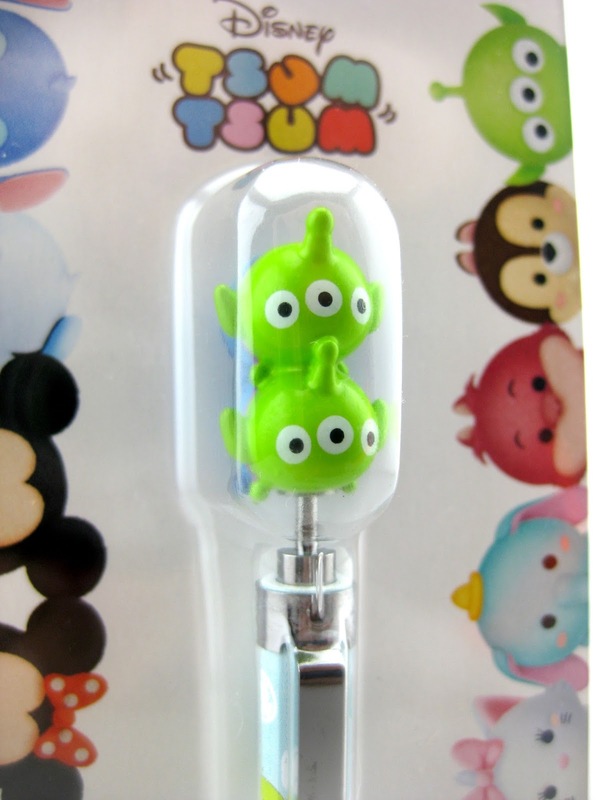 Tsum Tsum fans rejoice. 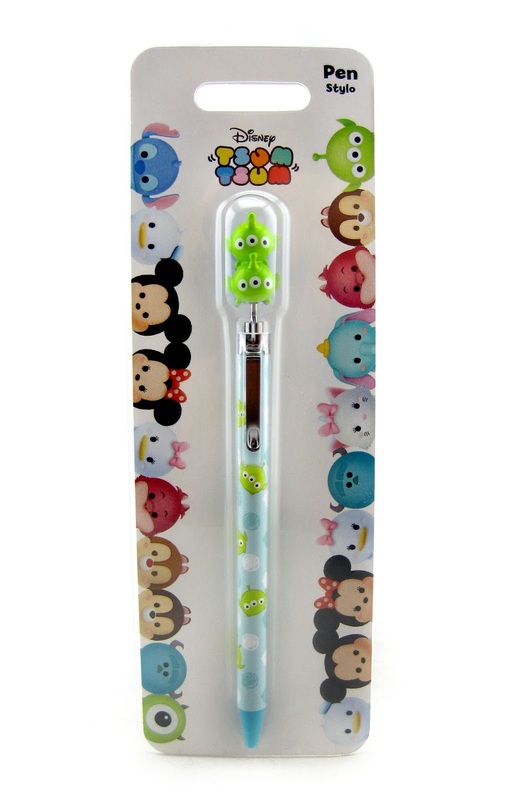 If you're a Toy Story and/or "Tsum Tsum" fan looking for a new pen, you can't really go wrong here. Pick it up at the Disney Store HERE for $6.95!